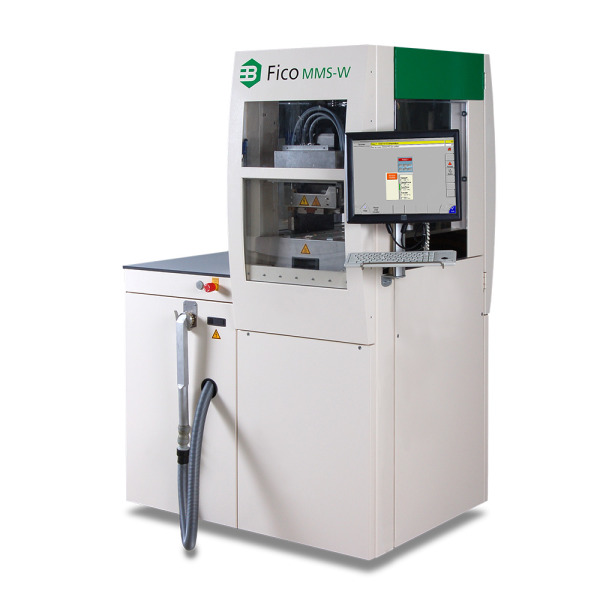 Milpitas, CA, November 22, 2013 – CORWIL Technology announced the addition of a new FICO MMS-W Molding system. With this system, CORWIL has developed the capability of offering industry standard Quad Flat No Lead (QFN) packages that feature an MSL moisture sensitivity level of 1, per J-STD-020, with a maximum peak reflow temperature of 260 °C. This next generation multi plunger molding machine also includes “vacuum assisted molding” which further enhances quality. This addition, coupled with our recent addition of the ASM Xtreme wire bonder, strengthens CORWIL’s capability for fine pitch, high density packaging for BGA, QFN and CSP products with complex multi-tier wire bonding layout using wire size down to 0.5 mil. “As several of our Mil/Aero customers migrate from conventional ceramic packaging to plastic packaging, CORWIL identified a critical need for a molding system that would satisfy the needs of these demanding customers. With this system, CORWIL has the right molding capabilities to service this market,” said Willy Bowman, CORWIL’s Director of Engineering. “Our Search for the right molding partner led us to FICO who was able to deliver a system that helps us meet the stringent quality requirements of our Mil/Aero & Medical customers as well as providing the flexibility required for Commercial and Quick-Turn customers,” he added. This purchase emphasizes CORWIL’s commitment to acquire the best equipment and capabilities to serve the Semiconductor Industry’s domestic outsourced assembly and test requirements. CORWIL Technology provides high quality and responsive semiconductor assembly and test services focusing on Hi-Rel, fast-turn and wafer processing markets. Founded in 1990 and based in Milpitas, CA, CORWIL is the premier U.S. provider of full back-end assembly services and is a key partner with leading medical, Mil/Aero and commercial semiconductor companies. For more information about CORWIL, please visit www.corwil.com.